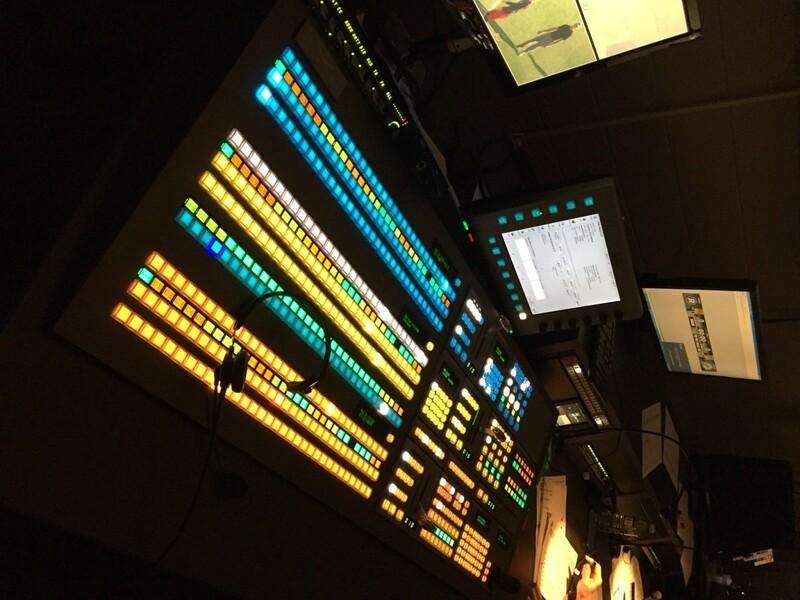 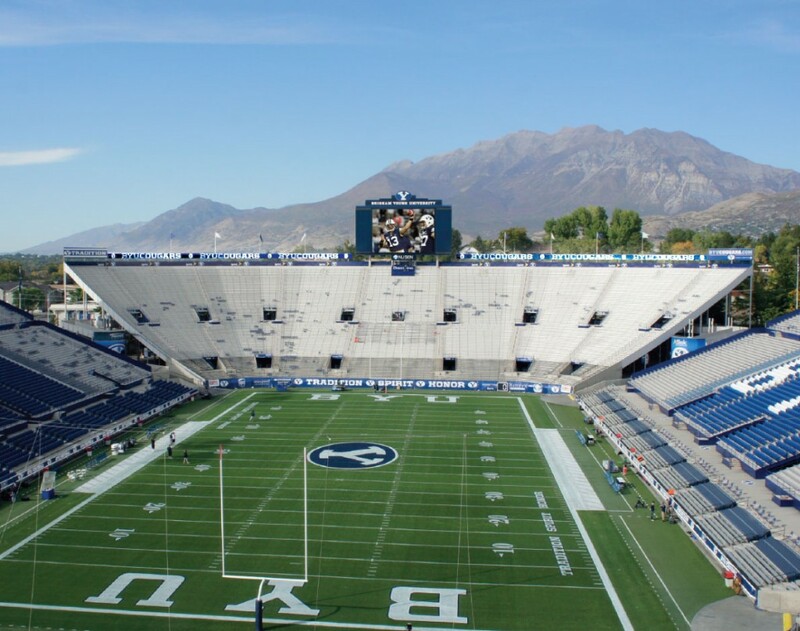 Before the 2012 season, Anthony James Partners worked closely with Brigham Young University to design, procure and oversee the construction and installation of state-of-the-art HD video system for LaVell Edwards Stadium. 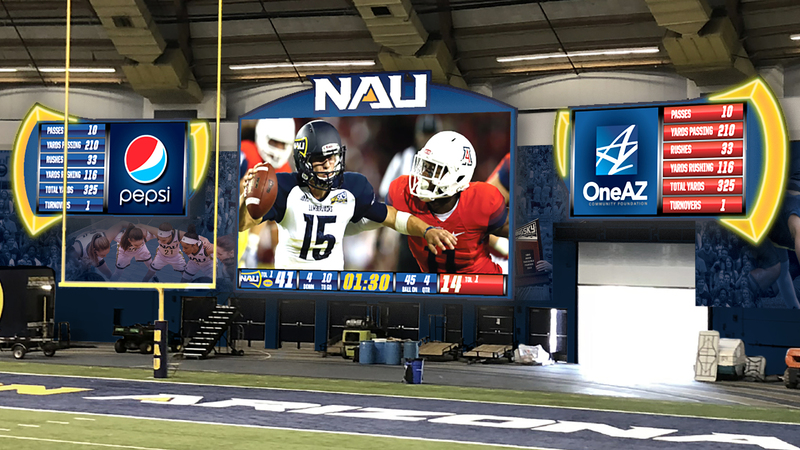 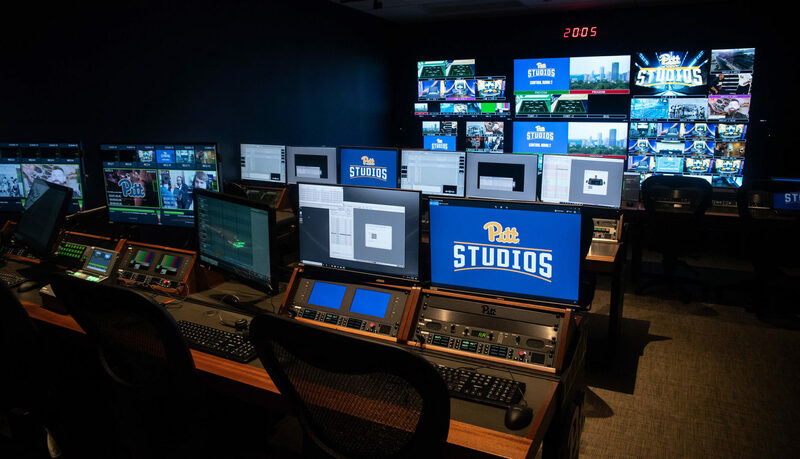 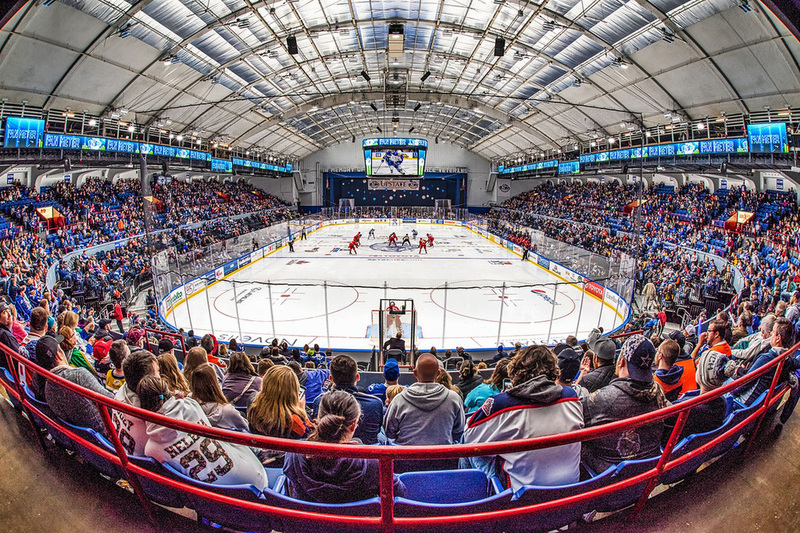 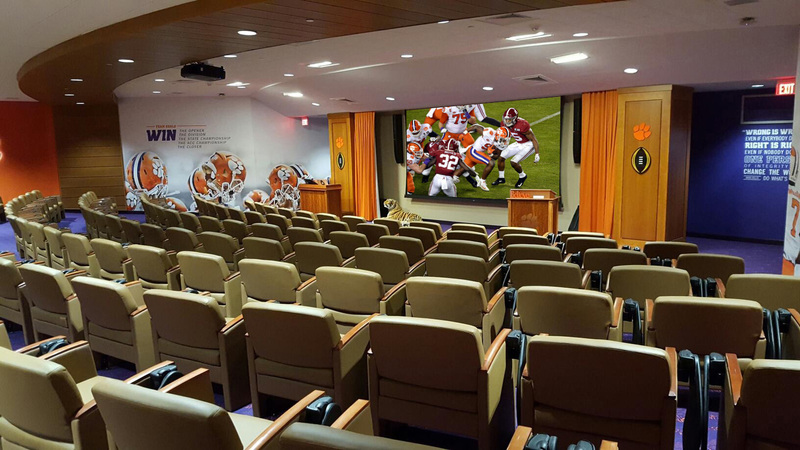 The new video display system features two (2) 16mm high-definition video screens measuring 35 feet high by 50 feet wide, perfect for live action content, replays, real-time statistics, etc. 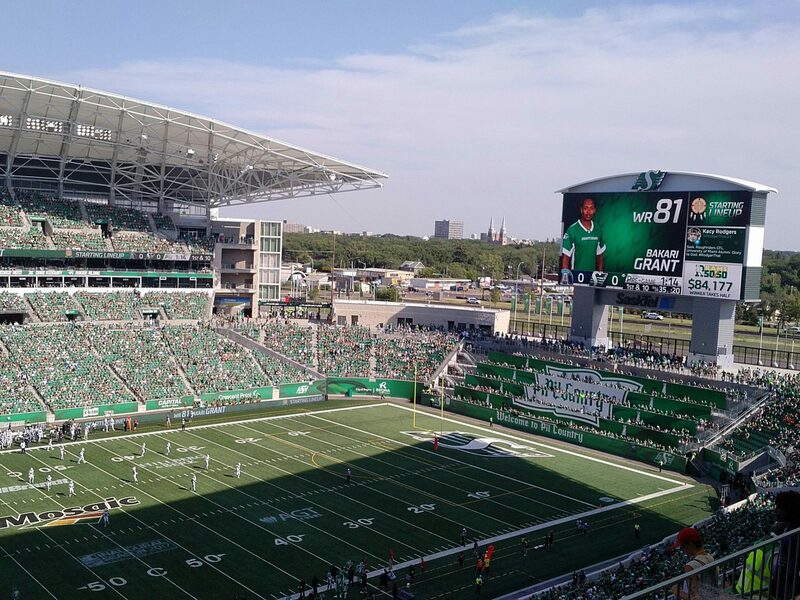 More than 950 feet of 25mm LED ribbon flank the sides of each scoreboard, running across the top of the stadium. 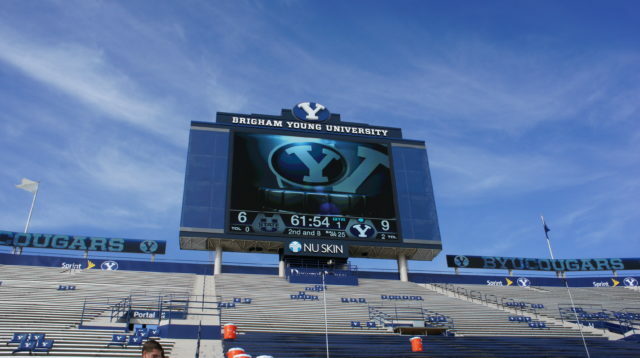 At four feet in height the ribbon boards will display content such as real-time statistics, animations, university branding and sponsor acknowledgements.